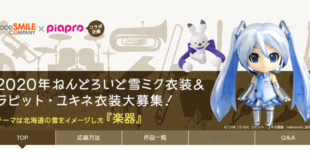 Special thanks to kico酱 for the featured image. The night before BML VR, members of VNN Chinese had a chance to have an interview with Stardust and IA! We’d like the thank them so much for them sparing their time for this interview! VNN: First, thank you for accepting our interview, IA and Stardust. Is there anything you would like to say to your fans? 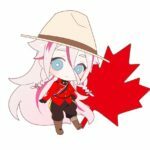 IA: Hello everyone from Shanghai! I’m IA. It’s been a whole year since my last concert in Shanghai and I’m happy to get to see you all again! VNN: This is your first time meeting each other, right? IA: After I heard that Stardust-san and I would have this interview together, I peeked in on her performance backstage during rehearsal. She has a beautiful voice and works really hard during her performances. Stardust: I saw IA qianbei(senior) backstage during rehearsal, but I didn’t dare to say hello because I don’t know any Japanese. So, I just silently watched her practice backstage. VNN: This is the first time for both of you at the Shanghai Mercedes-Benz Arena stage. Are you nervous? IA: Actually, Lia had performed at the Mercedes-Benz Arena last year, so I’ve followed her and tried to learn something. My thought back then was “Ah, I wish I can perform on that stage someday.”, and my dream came true after a year. 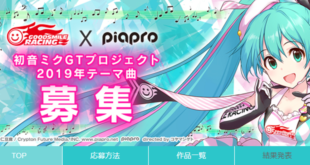 I am so happy and really thankful for this invitation from Bilibili. 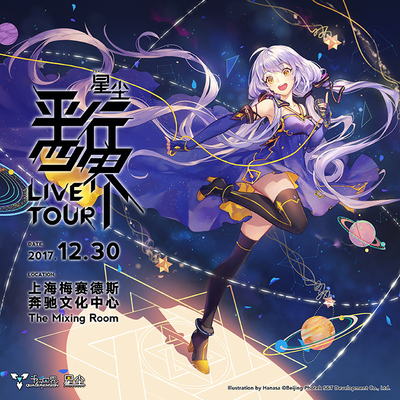 Stardust: I am glad to receive the invitation from Bilibili, so I didn’t think twice when accepting the performance. But I did get nervous when thinking that my first performance will be on such a big stage. VNN: Is there anything memorable to you during the preparations for BML VR? IA: We’ve just announced it on our Official Weibo: IA will soon receive a new set of stickers on WeChat! It was actually specially prepared for BML VR. Since we want to have a variety of stickers, I had to keep changing clothes and making different poses during photo shoot. It was tiring but also quite a new experience to me, because I never shot for a motion sticker before. VNN: BML VR Concert has brought many different kinds of virtual singers from different companies into the same place. Does it mean anything special for you? IA: I’ve been looking forward to it since I heard I would get to perform with so many brilliant singers on the same stage. Seeing the event getting closer everyday, my heart just couldn’t stop beating “dokidoki”. Stardust: This performance is a good chance for me. I wish to get some experience that will help me with my own live concert at the end of the year. 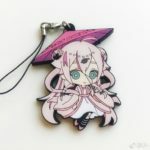 VNN: IA has prepared a new Traditional Chinese themed design for this event, and everybody thinks it is just too cute. Can we expect more traditional culture themes from IA? IA: I’m glad people like that design! It was also part of the promotions for IA’s world tour. 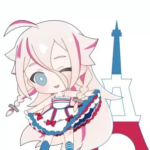 1st PLACE had also released two other designs, which are “French themed IA” and “Canada themed IA”. This fairy-like IA is also my favorite! I surely hope I can try on even more outfits from different countries and cultures in the future! VNN: Stardust introduced her new concert album at BML. Was it especially prepared for your own concert at the end of the year? Stardust: Yes, and this album will be different from my previous album; it will be a collection album. Not only will it have more tracks, it will also include new songs as well as covers and remasters of some of the classic tracks. 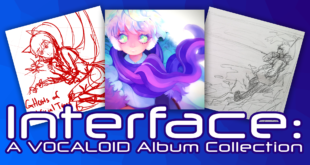 This is definitely an album full of love from the creators~. VNN: We heard the concert will be located in Shanghai too. How is the progress of the preparation? Do you mind sharing with us? Stardust: The concert is now confirmed to be on December 30th, 2017, and the location will be set in The Mixing Room in Shanghai Mercedes-Benz Arena! The concert will also includes an exhibition with a showcase of merchandise and a signing session with the producers. The tickets are now available at our official store. We will also update everyone with our latest information on Weibo. All of the staff and I will work hard to bring this wonderful performance to our fans. 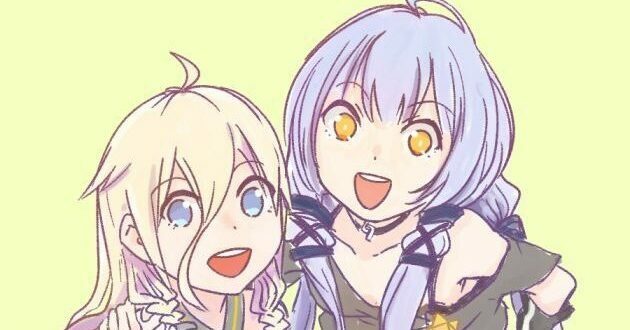 VNN: IA, as a senior who did quite a few concerts in the past, do you have any advice for Stardust? IA: Hmm…it wasn’t really advice. Before you go on stage, you can get nervous easily. But when you’re on the stage, seeing those smiles and hearing the cheers from fans, it just instantly boosts your motivation. Working with your audience to present a concert is definitely a rare experience. Stardust: Ah, and now I really learned something. 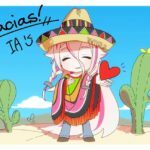 VNN: IA is there any new concert plans for the fans in near future? IA: Next week after this Live in Shanghai, IA will have another “Party a Go Go” in Montreal, Canada! It will be the 9th concert after Los Angles, Tokyo, New York, London, Shanghai, Hong Kong, Costa Rica and Mexico. I hope I can have another LIVE in China in the future! We are looking forward to working with China’s local artists and musicians, and IA encourages fans to tell us their opinion if they are interested in the idea, don’t be shy! VNN: Since you both traveled to Shanghai for this concert, did you guys plan to relax in the city afterwards? IA: I’ve tried Hotpot in Shanghai last year, and I ate it again yesterday with my staff. So, if you ask me what I would like to experience again in Shanghai, it would probably still be Hotpot! Stardust: IA qianbei likes Hotpot? What a surprise! IA: Yup. Since I needed to prepare for the concert, I only ate non-spicy Hotpot before. But after seeing everyone eating those red and really spicy-looking Hotpots, I just want to challenge it, too! Stardust: I always wanted to visit Shanghai, so I plan to visit The Bund after the concert and experience the blended culture from the East and the West (smiles). And since we’re talking about food, I want to try the local cuisine! I want to experience the charm of Shanghai throughout, and its Jiangnan flavor seems like a good decision. VNN: Thanks again to both singers for accepting our interview. Let’s say something to the fans before ending the interview! Stardust: Even though I’m still a rookie, I am happy enough for receiving love from people. I will work hard and continue bringing more good works! By the end of the year, I will also do my best at my concert for my loving fans! Thank you for your support!